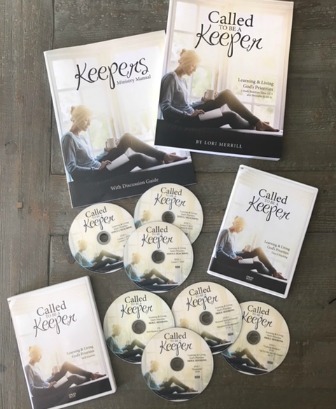 The video DVD's are a companion to the Called to be a Keeper Bible study. The five Titus 2 Teaching videos feature in-depth teaching by Lori Merrill on Titus 2:3-5, as well as highlights from Proverbs 31. The five Skill Session videos include personalized teaching on specific subjects designed to help each woman develop or improve the skills necessary for living the Titus 2 and Proverbs 31 life. Each session is intended to be used as the second half of the Bible study every other week or as an example for you to view as you look for a woman in your own church to teach the particular skill. For more information, about the CTBAK workbook, Scripture Cards set, and Ministry Manual please see their detailed descriptions. Note: Option #1 Complete Set does NOT include video digital streaming access. If you are interested in digital streaming access, please read about Complete Set Option #2.